O.K....It's time to clarify something very important to me. You know, we love music, and those couragious musicians of the '60's...the ones that fought for social change, those things we all enjoy today, that weren't there before those 'crazy hippies'....real progressive changes..civil rights, freedom and equality for all,... that's for every race, gender, belief, religion, age....o.k. even species, that's EVERYONE, and EVERYTHING, all 'life' has rights and is respected. Well, it looks like DRUGS took them down folks...beginning with pot...you know marijuana, some even claim musicians were 'owned' and 'used' to control the masses, see HERE for MY story about the king of soul, James Brown being used for crowd control in Boston at the time of Rev. Dr. Martin Luther King jr. death. Or go HERE for a video of 'MUSIC OF TIME', a book by Preston Nickols/Peter Moon [thanks CHANNEL3X], or for more to read about 'Music of Time', go HERE. For another eye-opening book, see 'TRANCE FORMATION OF AMERICA' by Cathy O'Brian and Mark Phillips. Full text HERE. Pot looks so inocent doesn't it? Feels pretty good too...AND, no calories. WOW...a high without gaining weight, no bottles to clean up, good to eat as well as smoke, no problems...perfect! Remember, we were ALL inocent back then ...AND, didn't understand it's 'down-side', BUT, now we do. We're older and wiser, aren't we?....cool. First, those musicians that sang for change got loaded...then, we all followed them,.. our heros, and got loaded too...that's a great way to stop all social change or any personal change for that matter, isn't it?...get everyone high, they just don't care anymore....'everything's just groovy',..what could ever be wrong with marijuana, anyway? It's natural, maybe even organic... that means really good for you, doesn't it? 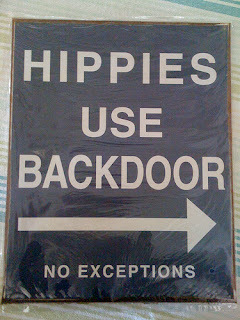 Hey, I'm an old hippie's after all, but I don't see me changing my mind soon. [NOTE: Wouldn't you know,...I changed my mind the very NEXT day, after I printed this, see 'Note' below. Jan]....so, for now.... everyone's free to live their life as they choose...and, that means, if you choose pot. I won't judge you, and, you don't judge me, you have your rights and I have mine too. BUT with wisdom, comes responibility...look at what happened to those troubadores who started it all and the social changes we all enjoy now because of their courage. There's more changes waiting. I think it's just the right time time to post this...In the local newspaper, Nisqually News....A headline read "'Pot Shops' Coming This Spring", THAT's for legal 'recreational marijuana' not 'medical marijuana' and this is quoted from Nisqually News....." Retail stores selling legal recreational marijuana are set to open in the spring, and the Washington State Liquor Control Board, which oversees the stores, wants the state Legislature to pass laws that would make the state-regulated stores outlets for medical marijuana, too." Jan NOTE: If this Nisqually News link gos down in the future [January 2014], go HERE. NOTE: UPDATED on 1/15/14....What I kept wondering last night was...why? why did those music heros involved in such powerful and needed social changes of the '60's. [After all,...they were very effective and powerful].... need ANY drugs, pot or marijuana anyway? And, I came up with my answer below. 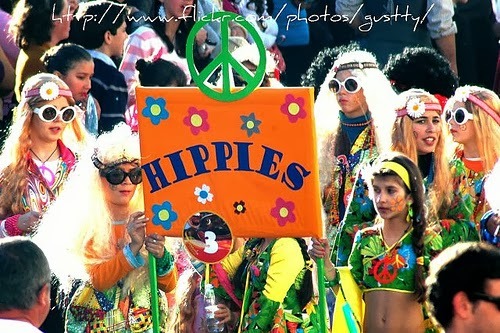 Well guys, this is only my opinion, but...Just look at my truth, for a moment, it makes sense...we hippies were...well, I'll just come out and say it...O.K? We were,...O.K., I was,.... and assume everyone was just like me, but I was a 'starry'-eyed', idealistic, goodie-two shoes, that just trusted EVERYONE without question, and never EVER even thought to look to see if others could have any other reason to be involved in social change, than MY reason...it was the right thing to do. Those trusting troubodores were easily 'victimized' [if they were like me, and I assumed they were ]by those clever Music Record Companies, and/or Music Production Companies that saw 'Social Change' as a money-making product to be sold. They were out only for the buck and their own profits. 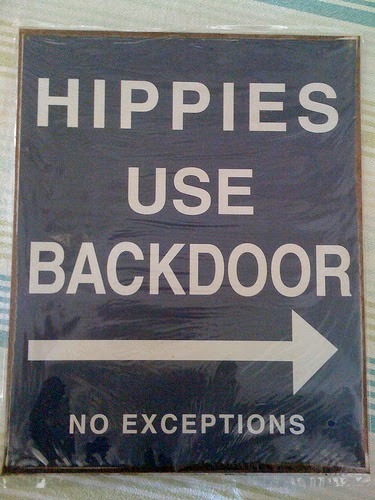 Those over trusting hippie musicians signed contracts that gave away all control over the music and much their lives. Also, the contracts that were signed were stacked in favor of the Record Companies, those trusting troubadores didn't spent enough or anytime 'reading the fine print'...Rights were given to the Music Production's Business men that weren't given to the 'idealistic' musician including how many songs were required by the musician to record each year, when, where they'd perform etc., the tricky Music Production Companies could get rid of a musical artist at a drop of a hat, or whenever they wanted for whatever reason. But, the musician could NOT quit the Record Company at ALL or have any rights or say about their own music...only if the business men wanted it. Musicians were 'owned'. For example: musicians had NO freedom or choises [spell?] like what, where, when they could sing, what they could say, and to who..... For example: like what, where, when they could sing, what they could say, and to who..... At least two different musicians of those times.... that we know today...have said that was their own experience back then. They were 'conned' or vicimized outta their music and rights. I think that drugs were first used to 'self-medicate', when the realization of what had happened hit home. Then, we followed our music heros without looking or questioning a thing either, like a bunch of sheep... Some say, that drugs were even encouraged and also seened as a Money-Making Product. I remember that song from UNDISPUTED TRUTH [could not find any more links for this group], called 'Smiling Faces, Sometimes' '69 [thanks mosogotam] Video page says: " Uploaded on Nov 29, 2011No copyright infringement intended. If felt, comment below and I will remove this video. The late great Norman Whitfield had an amazing knack for political and social comment. The Undisputed Truth was one of his favorite vehicles to express his opinions. Joe Harris served as main lead singer, with Billie Rae Calvin and Brenda Joyce. My extended version of this great hit".